Founded by Frédéric Boucheron, the Paris-based jewellery house is celebrating its 160th anniversary with a high jewellery collection that gets close to the naturalistic vision outlined by its founding father, who favoured the realistic portrayal of nature. Among the panoply of new technologies used, the jeweler employed a 3D scanning process to create a flower library containing hundreds of unique petals that led to a new level of textured realism. 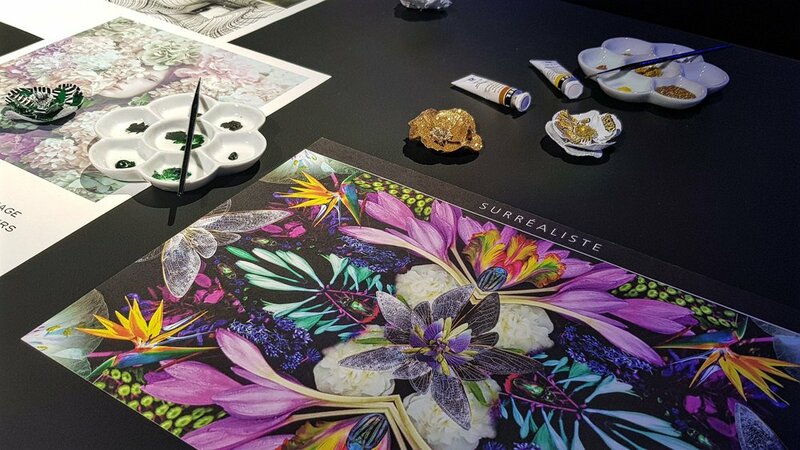 It also work on a new patented stabilization process in in collaboration with the vegetal artist and petalist Claire Boucl to encapsulate real flower petals (anemone, hortensia, hydrangea) into high jewelry pieces for its Boucheron Alchimiste collection . According to Boucl, the petals are scanned to capture their volumes in all their details then each petal is stabilized without pigments or chemicals and mounted on the flower 3D form now in titatnium, with great care to protect their original beauty. The flower is then finished with a thin lacquer layer and embellished with precious stones like Padparadscha sapphires, spessartite garnet, indigolite tourmaline and jonquil diamonds. In addition to plant forms, the new Boucheron collection used another innovative technique for replicating mineral forms applying a 3D marquetry pattern to rock crystal.